It took him six seasons to get to this point, but James Harden is finally, if not necessarily “the favorite,” favored. Upon his now much-maligned departure from the Thunder, a team which had just gone to the NBA Finals and lost to LeBron James, who gained his first title, Harden was looked upon and fit the bill as the cornerstone of the Rockets, a necessary transition from the Yao Ming-Tracy McGrady era to something new, all the vision of general manager and advanced stats figurehead Daryl Morey. 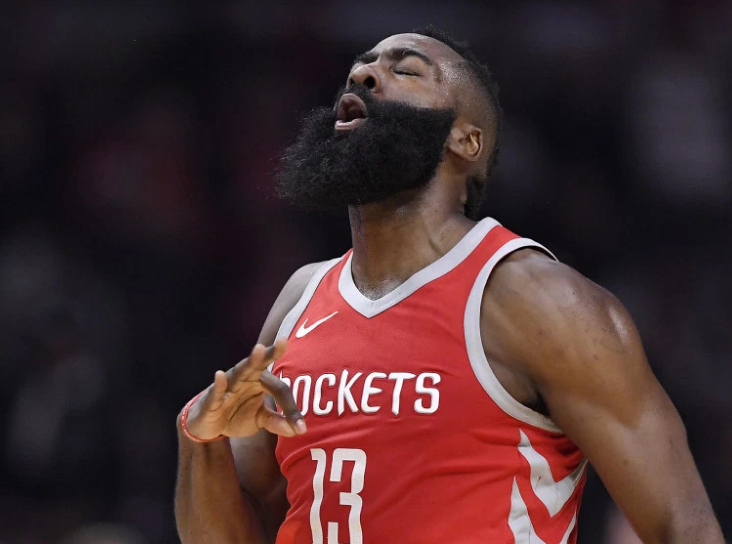 Immediately, Harden embraced the role, becoming an All-Star in his first season as a full-time starter and giving credence to free-flowing facial hair. He’s been an All-Star ever since, averaging nearly 28 points, 7.7 assists and 5.8 rebounds over the past six years. Even during the conflicted Dwight Howard years, from 2013-’16, Harden was excellent, albeit frustratingly so, with the Rockets finishing first, seventh and first in opponent fouls drawn over those three seasons, according to basketball-reference.com. In other words, the Harden-era Rockets have been pretty tough to watch at times, to say the least. Part of this was due to the pace of play under Kevin McHale, D’Antoni’s full-time predecessor; part of it was certainly due to Howard, a paint-anchored behemoth of ages gone by with whom Harden clashed at times; and part of it was certainly due to Harden’s own spine-freezing ability to change speeds: as the Wall Street Journal first reported last February, the Santa Barbara-based Peak Performance Project measured Harden as the very best in decelerating in the NBA, a talent that manifested itself in his season-defining crossover-into-step back against Wesley Johnson on February 28th. It was a singular moment that showcased Harden’s genius: the move sent Johnson floor-ward, and allowed Harden the opportunity to size him up, stare him down, size the basket up, stare it down, consider the value of his retirement fund, consider the contents of his closet, consider the contents of his fridge, consider the situation in Syria more carefully than the POTUS, do his taxes, concoct the next plot of another State Farm commercial with Chris Paul and Oscar Martinez, renew his Netflix subscription, learn another language and then, snapping back to reality, set his feet and knock down a three-pointer, which he shot at a near-career-average 36.7% this season but the possibility of which nevertheless sets opponents scrambling when he trots around picks. Even when Paul went down with an injury following the first game of the season, Harden helped navigate the Rockets to a league-best record, upending the Warriors and setting afire the idea that this season was predestined. From October 18th through November 14th, Harden got nice, posting a +14 rating while assisting on 54.4% of his teammate’s field goals and using another 36.7% of possessions in averaging 31 points, 10.2 assists and 4.9 rebounds. Heading into a first-round playoffs matchup with the Minnesota Timberwolves, the Rockets, like Harden singularly, are favored, but at a cost: premier wing defender Luc Richard Mbah a Moute, not unlike Steph Curry with the Warriors and Joel Embiid of the Philadelphia 76ers, is out until at least the second round. Center Clint Capela has a team-best defensive rating among Rockets starters, but Mbah a Moute, out with a dislocated shoulder, traditionally haunts the opposing teams’ best wings. He has been essential to Houston’s success, and his health will be paramount should Houston advance to the second round as expected. Both Harden and Paul have been hounded by allegations of shrinking in the playoffs with the Rockets and Clippers, respectively, and both have questions to answer regarding those performances. There would be no louder mic drop, nor a more vital one what with Paul’s free agency looming, than rolling through the Western Conference and making, if not winning, the NBA Finals. To do that, the Rockets must confront a gauntlet in the West. They must also confront themselves. It all begins with James Harden. By the way, this year’s leader in assists? Harden’s ex-teammate Russell Westbrook, who was last year’s scoring champion and MVP. Congratulations to Minnesota, by the way, for making its first postseason since 2004. This has been a long, long time coming, and to win what was essentially a play-in game against the Denver Nuggets on the final night of the season (in overtime, no less!) is no small accomplishment for a young and hungry roster complete with a franchise player (Jimmy Butler, back from injury), a potentially game-changing big man (Karl-Anthony Towns) and a whole host of magnificent players, from Andrew Wiggins to Jamal Crawford, whom coach Tom Thibodeau needs to go ahead and not run into the ground if they are to reach their considerably high ceiling over the next few seasons. Still: they do not hold a candle to these Rockets, at least not yet. He and Paul together share a team-leading 126 offensive rating, which is beyond bonkers.